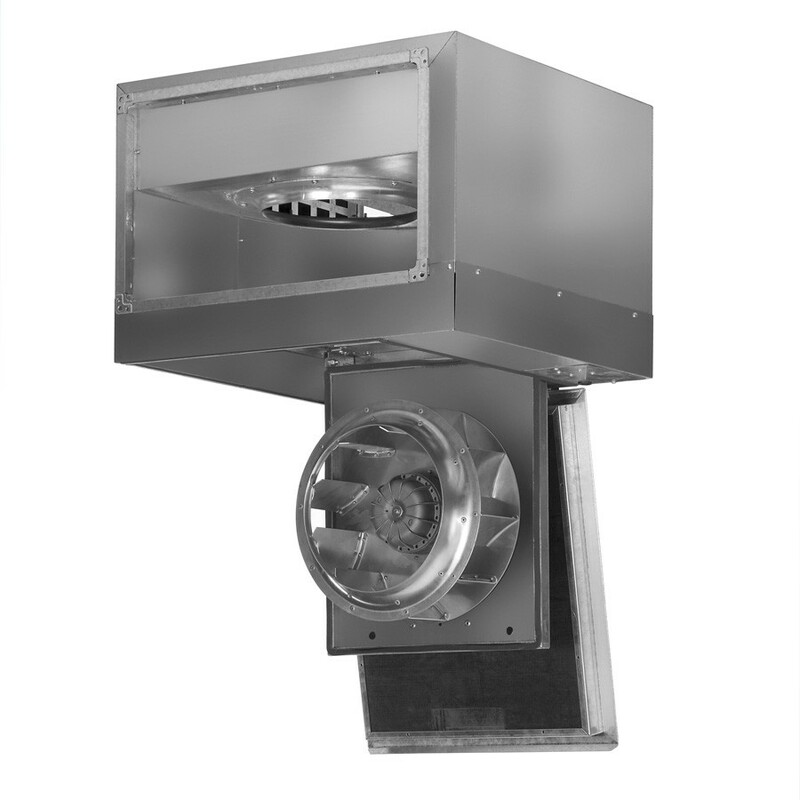 Insulated rectangular duct fan. Very low profile design. Backward curved centrifugal impeller. Casing manufactured from heavy gauge galvanised sheet steel. 50mm thickness of M0 glass fibre internal acoustic insulation. External rotor motor, speed controllable, IP55, Class F insulation. All motors are speed by autotransformer. All three-phase models are speed controlable by frequency inverter less the IRAT/4-450 model.